Present state: Demolished - nothing remains of the platform. 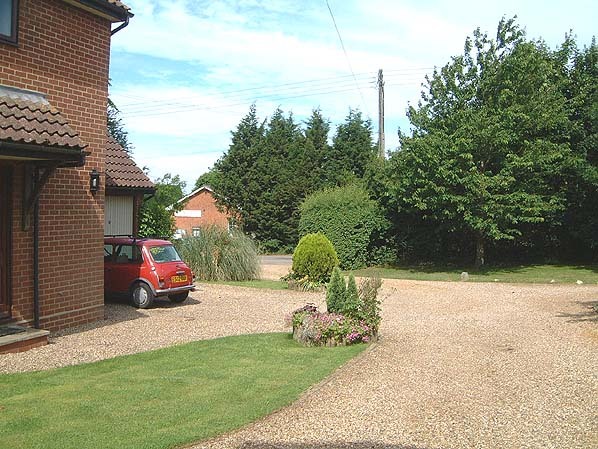 The site has recently been developed as a housing estate. 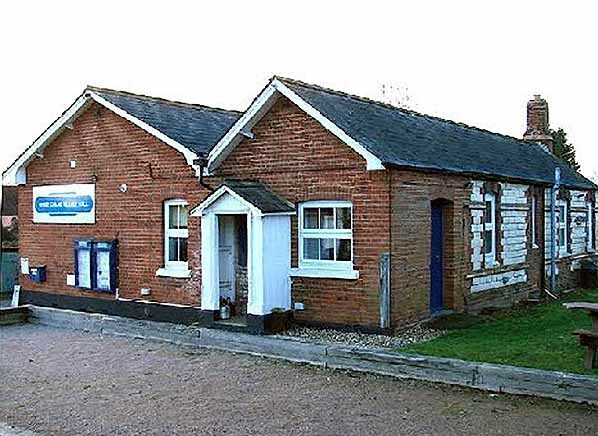 The booking office and other station buildings survive on the far side of the level crossing and are used as the village hall. Notes: The station was originally called Colne. It closed on 1st May 1889 and reopened on 1st April 1908.
owned. By the turn of the century the CV & HR was enjoying its first and last period of prosperity. 14th July 1924 It remained in use as a goods station until 19th April 1965 and as a goods station it was renamed Haverhill South on 1st February 1925.
short section of the railway to operate a steam service as a tourist attraction. After several planning applications permission was granted to relay one mile of the line west of Castle Hedingham. The first steam locomotive came back to the line in August 1973 and the following year the Colne Valley Railway Preservation Society was formed. Track laying began the same year and a new station, Castle Hedingham was built. 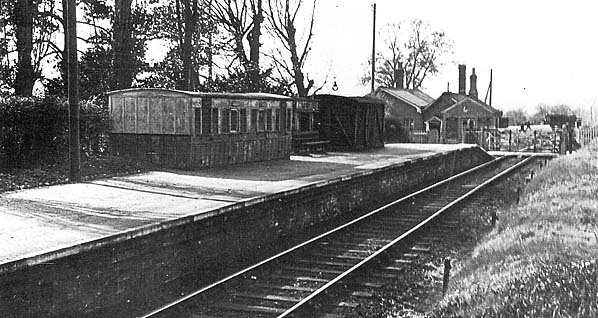 At that time the original Sible and Castle Hedingham station was derelict and awaiting demolition. The owners agreed to donate the building to the Society on the condition that it was dismantled and cleared from the site within six weeks. The building was dismantled brick by brick and it took a further two years to rebuild, but externally it appears exactly as it did when first built in 1861. 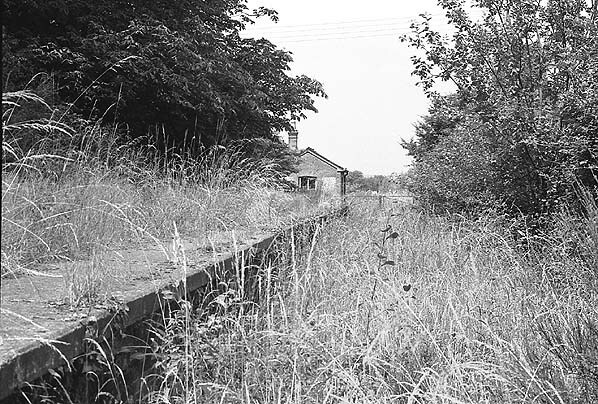 White Colne Station in July 1975 - the station building is on the far side of the level crossing. side of the level crossing. White Colne village hall is now housed in the former station booking office, Note the village hall sign in the shape of a BR totem sign.